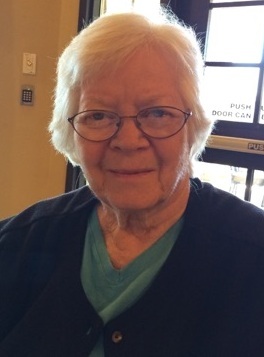 Patsy Jo Means passed from this life on October 11, 2018 in Collinsville, Oklahoma at the age of 86 years. Patsy was born July 11, 1932 in McCurtain, Oklahoma to parents Earl Fitzgerald and Mae Landreth Fitzgerald. She married Troy Means on October 13, 1956. Patsy is survived by her husband of 62 years, Troy Means of Collinsville, Oklahoma, her son David Means his wife Angela and their two children William and Elizabeth, her daughter Janet Volz her husband Jeff and their two children Lydia and Jack, all of Collinsville, her sister Jean Tucknies of San Marcos, California and numerous nieces and nephews. She was preceded in death by her parents Earl Fitzgerald and Mae Landreth Fitzgerald and her brother James Robert Fitzgerald, Sr.